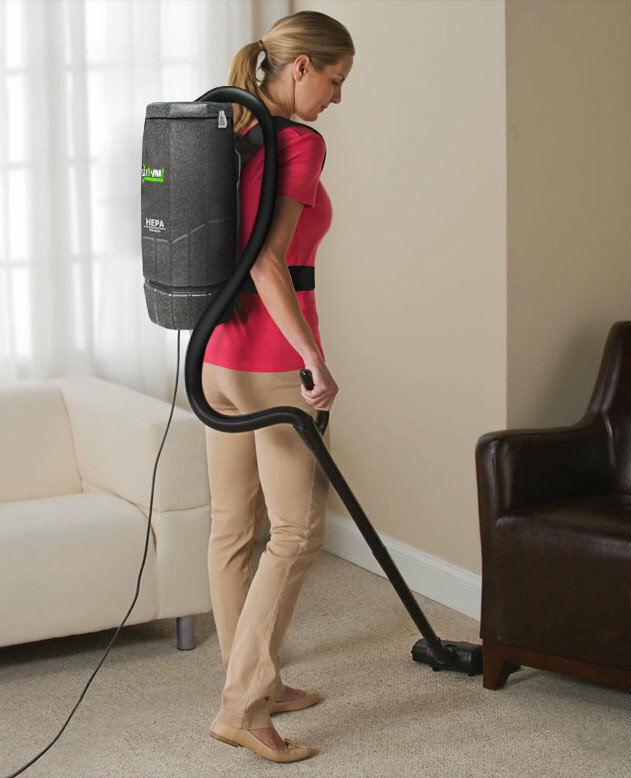 This ergonomic HEPA Backpack is designed for vacuuming carpet, hard floors and upholstery. Worn on the back to allow for easy and quick vacuuming while walking. 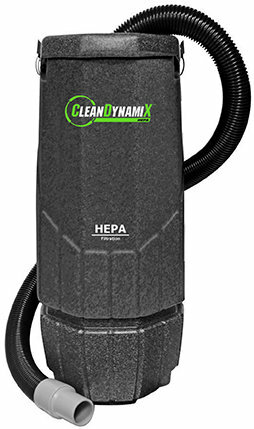 Includes HEPA filtration, HEPA bag and HEPA motor filter. This vacuum is designed for cleaning sensitive areas that require the highest filtration. Fastest soil pick-up with high CFM airflow, making this model significantly more proficient than traditional uprights. Collects the most soils, leaving exhaust air cleaner with a disposable, heavy-duty paper micro-bag mounted inside a washable cloth shakeout bag. Lightweight ergonomic design, with a cushioned back-pad that fits the curve of any operator's back. The comfortable shoulder and waist belt design reduces fatigue, making work easier. 2 Lever-style latches lock the lid to the body and a static-dissipating vacuum hose securely threads into the backpack's lid, allowing for right- and left-handed vacuuming. The interchangeable lid converts this backpack into a powerful blower. Easy-to-reach On/Off power switch, quiet motor and 50-foot long safety power cord.